The Abante International colleagues were used to ministering in local churches of Puerto Rico during their three-month mission on the island. However, their ministry did not stop at the local church. The colleagues truly took an interest in ministering to nature as well. For the past two years the Abante colleagues have had the opportunity to work with an organization called Para la Naturaleza. The colleagues worked with none other than local frogs! In Puerto Rico there is an endangered frog called, El Sapo Concho. The common toad, which was introduced to the island some years ago, started reproducing and became a predator of the endangered, Sapo Concho. The Abante colleagues decided to get involved. 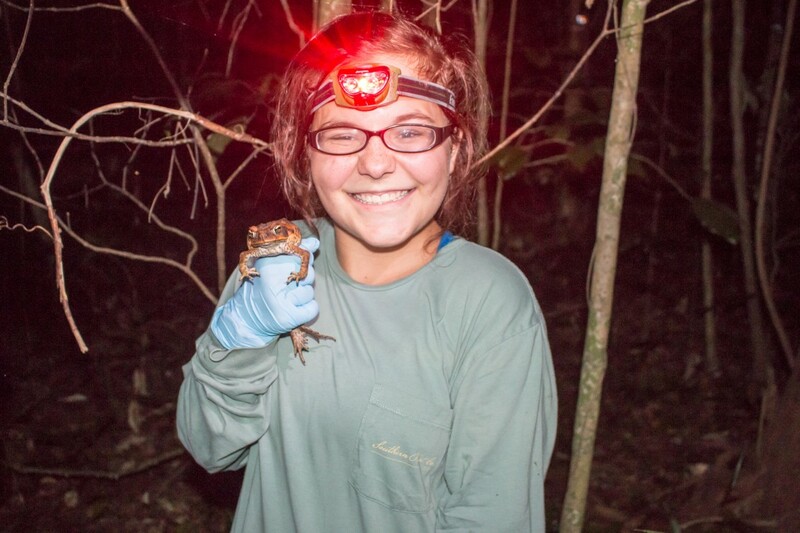 The colleagues went out on a mission to catch and study the common toad and prevent them from eating Puerto Rico’s Sapo Concho. In this marvelous adventure they had the honor of meeting Miss Zuleika Rivera, a twenty-five year old biologist with a passion for nature and a heart for conserving the island. In Genesis 1:28 God commands his children to take dominion over the Earth. The valuable lesson the colleagues learned that night was; that many are called, not just to formal religious missions, but there are many who are fulfilling the God-given mandate to preserve the planet. Consequently, the colleagues were able to witness a living example of this lesson through their new biologist friend, Zuleika. The team was able to connect on a deep level with her and even had the opportunity to pray with her after saving the frogs! Even to this day, the team has kept contact with her and they now remain good friends.